SACRAMENTO — An assemblyman from California’s Delta region introduced a pair of bills earlier this year and, if signed into law by Gov. Jerry Brown, could directly impact boaters and local harbors. One of those proposals, which would require children ages 13 and under to wear a personal flotation devices (PFD) when aboard any vessel (irrespective of size), already cleared the Assembly floor. 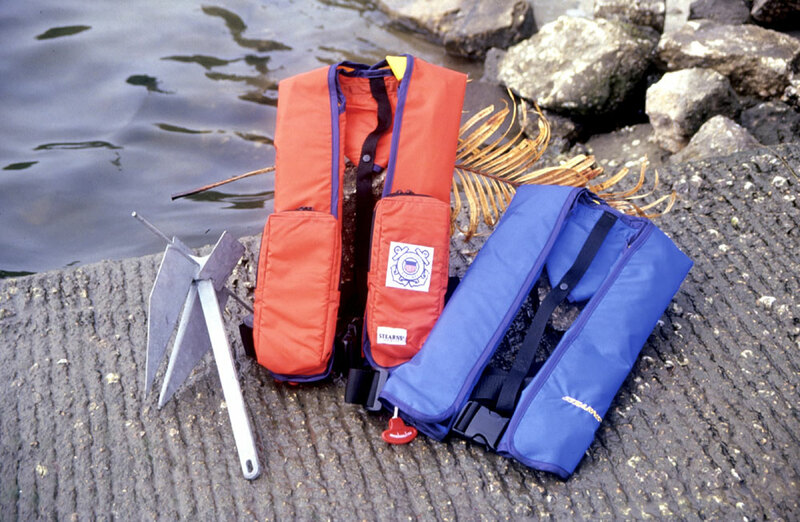 Children ages 13 and under could be required to wear PFDs on boats small and large if Assembly Bill 638 (AB 638) becomes law. Currently, the Harbor and Navigation Code only requires anyone 13 and under to wear a PFD when on a 26-foot vessel or smaller. Assemblyman Jim Frazier (D-Oakley) proposed to expand the state requirement to boats of all sizes. The bill was unanimously approved, 76-0, in the Assembly last month. Underage boaters would not be required to wear a PFD if he or she is within an enclosed cabin, according to an exception in the bill. “This bill would … make [the] prohibition [of operating a vessel where anyone aboard aged 13 or younger is not wearing a PFD] applicable to a person operating a motorboat, sailboat, or vessel of any length. The bill would revise the definition of ‘enclosed cabin’ to mean a space on board a vessel that is surrounded by bulkheads or canvass, and covered by a roof,” the language of AB 638 read. AB 638 was approved April 16 by the lower house and was sent to the State Senate for consideration. Meanwhile, Assembly Bill 1323 (AB 1323) proposes to amend the Public Resources Code to include a new definition of marine debris. The bill was amended April 6 and also proposed procedures to quickly remove any marine debris deemed as lacking in value. “The bill would make depositing marine debris in a public waterway or on state tidelands or submerged lands an infraction, thereby imposing a state-mandated local program,” a portion of the proposed law stated. Specifically, AB 1323 would expand the definition of marine debris to include any portion of a vessel determined to be derelict, dilapidated, unseaworthy or wrecked. Further, law enforcement and harbor officials could be allowed to quickly dispose of any marine debris, whether floating, sunk or beached, found in a state tideland, submerged land or public waterway or beach. The debris must not have any value. AB 1323 was scheduled for a hearing in the Assembly’s Natural Resources Committee on April 27. Another bill is circulating in the State Senate aiming to make the management of invasive plants a more transparent process. Sen. Cathleen Galgiani (D-Stockton) introduced Senate Bill 223 (SB 223) earlier this year and proposed to create an advisory and oversight committee to monitor how Cal Boating manages the removal of invasive plants. If the bill becomes law, the oversight committee could be functional by Jan. 1, 2017. The bill primarily focuses on invasive plants in the Sacramento-San Joaquin Delta.